WHY Open Air Lifestyles, LLC???? Open Air Lifestyles, LLC’s innovation ability has changed the face of the all weather wicker outdoor patio furniture industry.. These innovations have included the beauty and lasting strength of powder coating aluminum, stronger tube-in-tube joints, marine-grade stainless hardware – the list goes on. We go to these lengths for only one reason …to help you create the perfect outdoor environment. 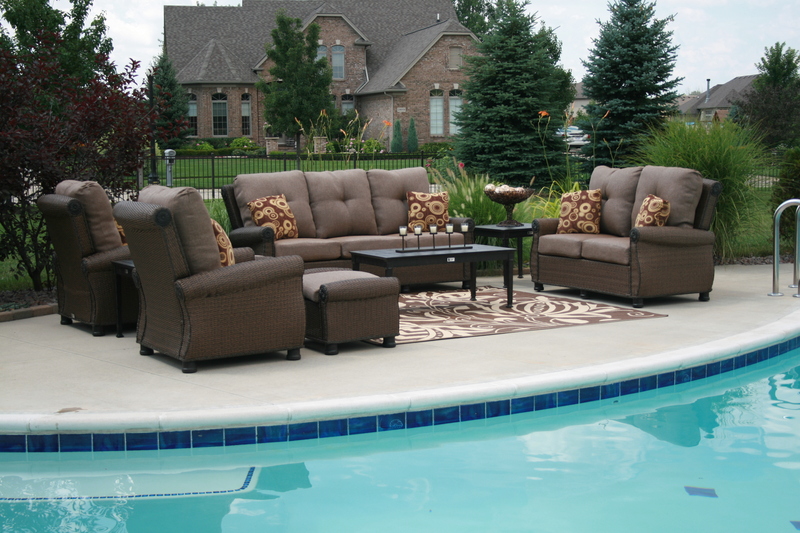 Our commitment to quality is your key to a beautiful outdoor living space. Open Air Lifestyles, LLC’s outdoor patio furniture is available through top commercial designers, or our network of exclusive outdoor furnishings dealers. Quality, style and comfort, backed by unique innovation and top quality customer service. If you’re designing a destination resort, or simply creating your own backyard resort, you deserve the comforts of Open Air Lifestyles, LLC. At Open Air Lifestyles, LLC, we believe that just as great design is the heart of all fine furnishings; exceptional comfort must be the soul of casual furniture. Alluring comfort and exquisite style infuse everything we do – creating great collections, hand-crafted one item at a time, to quality standards that are unmatched in the industry. Open Air’s furniture fulfills more outdoor applications, complements more architectural styles, and offers more choices of Viro all weather wicker, and Sunbrella fabrics to ensure you are purchasing a product that you can be proud of for years to come. Backed by a warranty that will give you comfort in your purchase. Every piece of Open Air Lifestyles, LLC outdoor patio furniture expresses a rare sense of belonging with careful attention to scale, proportion and detail. The results are timeless designs that gratify today and delight tomorrow. Open Air Lifestyles, LLC’s design ability represents no less than the best of notable design innovation in outdoor patio furniture industry. While great design and quality materials create the potential for beauty, craftsmanship determines whether that potential is achieved. That’s why every piece of Open Air Lifestyles, LLC furniture is hand crafted , woven and polished. It begins by shaping and bending the highest quality aluminum into the frame … the foundation of our furniture. Elegance and beauty are applied to the surface of our frames with Viro resin wicker and the finishing touch is the Sunbrella cushions. And it shows. In furniture that’s beautiful the first day, and even more beautiful as each passing day reveals its timeless quality. « Catch up with latest news from Open Air Lifestyles, LLC!! !